Mardi Gras is almost here, and we’re preparing the way we always do: trying to figure out where we can get sloshed on cheap, authentic New Orleans-style party drinks and get some beads to boot. This year, Applebee’s is the place to go if you can’t actually make it down to the Big Easy. That’s because their February Neighborhood Drink of the Month is a hurricane, and it’s just $1. The cocktail was originally created to use up a surplus of rum in the 1940s, as bourbon and Scotch were hard to come by after World War II. An enterprising bartender combined rum with lemon juice and passion fruit syrup to create a pared-down version of the drink we know today. Applebee’s version is more similar to the modern iteration of the drink, which is often made in big batches to serve the swarms of partygoers in the city. 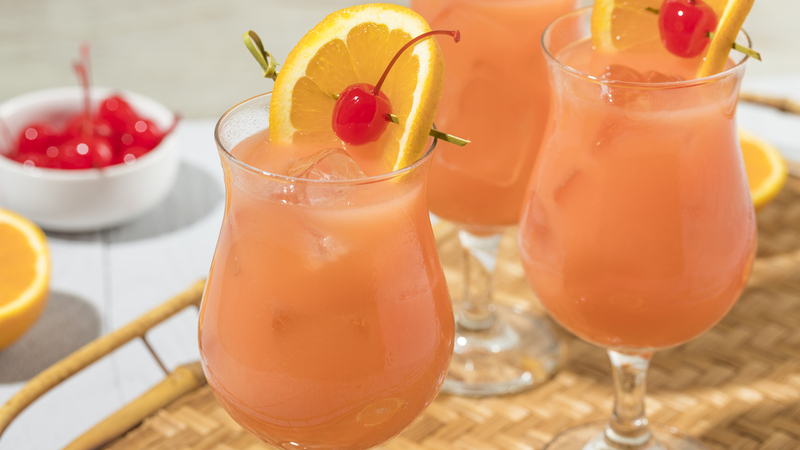 It’s a combination of rum, passion fruit, orange, black cherry and lime juices served in a 10-ounce mug. Better yet, when you order one, you also get a string of beads or a cocktail stirrer topped with a masquerade mask. Way easier than what I hear you have to do to get them when you’re actually in New Orleans. It may sound strange, but Applebee’s is actually killing it when it comes to being an affordable place to drink. They have their $1 Drink of the Month (in January, it was a blue frozen shark-themed cocktail) and other great deals — for instance, in January, they’ve been selling $2 Jack and colas. That’s a lot cheaper than what a drink goes for at my local watering hole. Mardi Gras takes place in early March this year, so this Neighborhood Drink of the Month will actually be around until March 5, a few days longer than usual. We’ll being saving up our singles until then, and you know where we’ll be when the celebration is finally here!